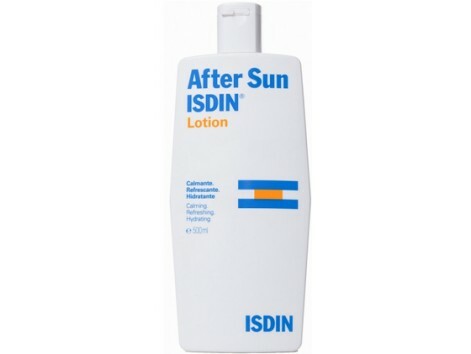 Aftersun ISDIN saving 500ml container. Directions: hydration of the skin after sun bathing. Fixation and prolonged tan. How to use: apply especially to areas affected by the sun, after sun bathing, performing a gentle massage with the fingertips until the perfect absorption. For all skin types. 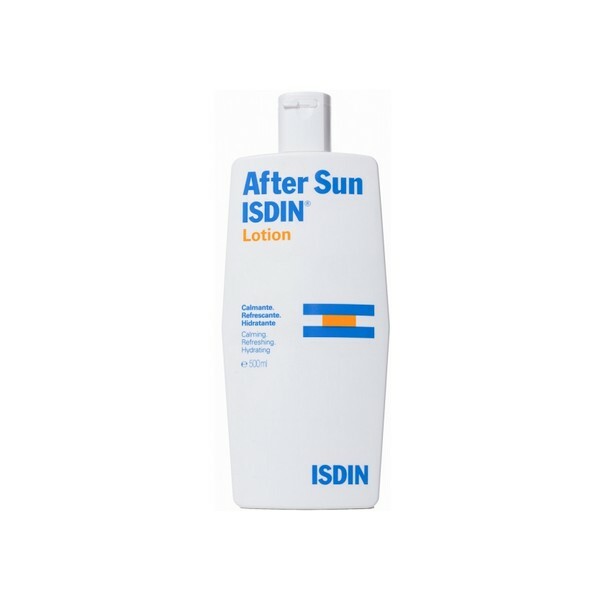 Description: after-sun lotion. Refreshes the skin, relieves redness and burning sensation caused by the sun. Moisturizes, softens and restores skin to its natural smoothness. Formula tested under dermatological control. Ingredients: Aqua (water). Alcohol DENAT. Octyldodecanol. Isopropyl palmitate. Cetyl alcohol. Chamomilla recutita (Matricaria) extract. Polysorbate 60. Dimethicone. Ethylhexyl ethoxycinnamate. Glycine soya (soybean) protein. Benzyl alcohol. Sodium Carbomer. Sorbitan stearate. Bisabolol. Allantoin. Methylparaben. Propylparaben. Disodium EDTA. Menthol. Parfum (fragrance). BHT. 2 Benzophenone.